The news it out, the jig is up, we finally found it. The Renegade, they had it made, and now you can buy it! That’s right ladies and gentleman (and Styx fans all over the world), the 2015 Jeep Renegade has arrived at LaFontaine Chrysler Dodge Jeep Ram in Saline, Michigan. 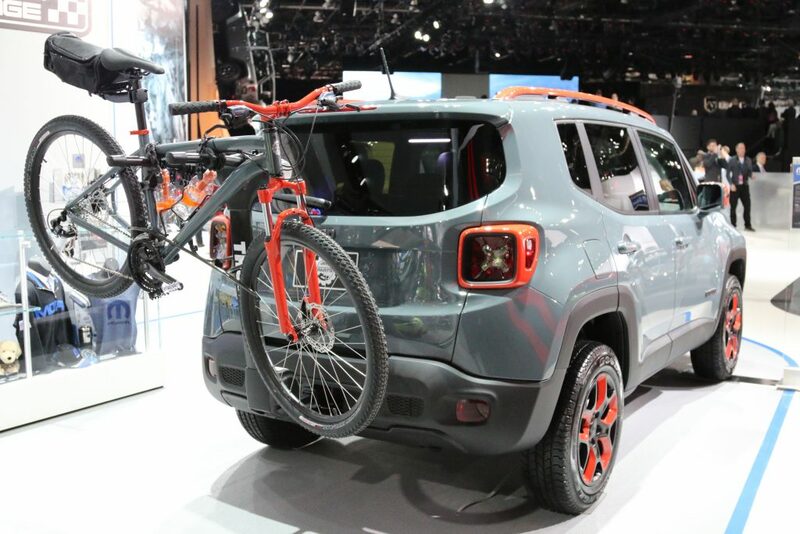 We caught our first real life glimpse of the new Renegade at the North American International Auto Show and it certainly made a lasting impression. With best in class 4×4, 9 speed automatic transmission, UConnect technology and over 30 miles per gallon – the Renegade is shaping up to be one of the best compact SUV’s available on the market today. We’ll have our own detailed review of the 2015 Jeep Renegade coming your way soon. In the meantime, if you want to get to know the Renegade better, check out this video review from the crew over at Autonet. 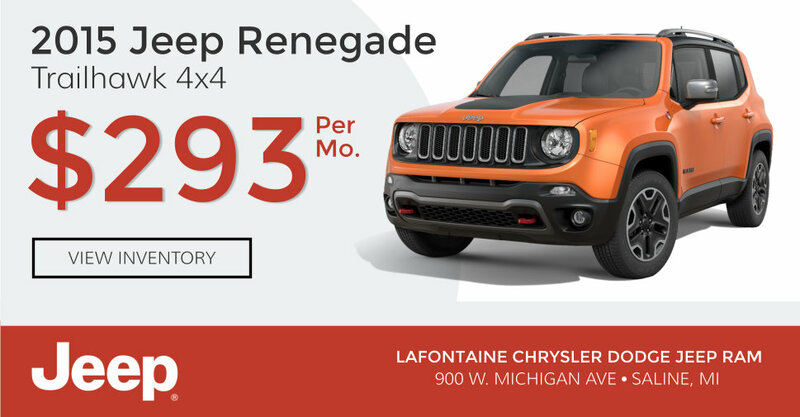 Be sure to visit LaFontaineCDJR.com for current Jeep Renegade lease specials, pricing and incentive information. The all-new 2015 Jeep® Renegade expands the brand’s vehicle lineup, entering the growing small sport-utility vehicle (SUV) segment, while staying true to the adventurous lifestyle and 4×4 capability Jeep is known for. Renegade delivers a unique combination of best-in-class off-road capability, open-air freedom and convenience, a segment-first nine-speed automatic transmission that contributes to outstanding on-road and off-road driving dynamics, two fuel-efficient engines, world-class refinement, and a host of innovative safety and advanced technology offerings. The result is an efficient vehicle created to attract youthful and adventurous customers around the world to the Jeep brand. Expanding the brand’s open-air freedom that originated with the legendary 1941 Willys MB Jeep, the all-new 2015 Renegade offers two class-exclusive “My Sky” open-air roof systems. With a manual removable, or premium power tilt/slide with removable feature, the innovative “My Sky” roof-panel systems quickly bring the outdoors inside. Designed for convenience, the honeycomb fiberglass polyurethane roof panels are lightweight and stow neatly in the rear cargo area. For added design detail, both “My Sky” roof systems feature a debossed “X” stamped into the roof that exude strength and play on the brand’s utilitarian history. With its fully independent suspension, capable of up to 8.1 inches (205 mm) of wheel articulation and 8.7 inches (220 mm) of ground clearance (Trailhawk model), Renegade raises the bar in the small SUV segment with best-in-class off-road capability. 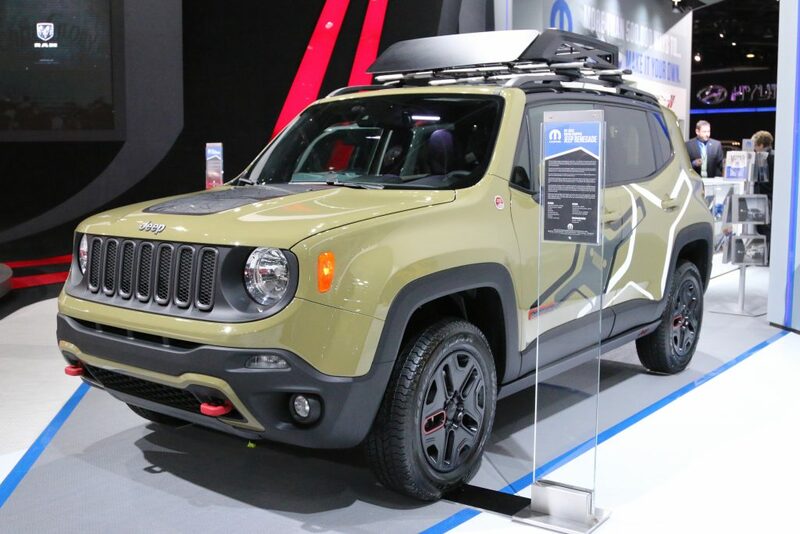 Extensive use of advanced steels, composites and advanced computer-impact simulations enable the all-new 2015 Renegade’s architecture to deliver world-class torsional stiffness and the Jeep brand’s durability required for Trail Rated adventures. The all-new Renegade is the first Jeep SUV to integrate Koni’s frequency selective damping (FSD) front and rear strut system. This damping system enables the Jeep Renegade to deliver world-class road-holding and handling characteristics. Like the new Jeep Cherokee, the all-new 2015 Jeep Renegade has raised the bar — this time in the small SUV class — with the first available nine-speed automatic transmission. When paired with the 2.4-liter Tigershark engine with MultiAir2 (4×2 or 4×4), the nine-speed transmission delivers numerous benefits customers will appreciate, including aggressive launches, smooth power delivery at highway speeds and improved fuel efficiency versus competitive six-speed automatic transmissions. The all-new 2015 Jeep Renegade offers technology features once found only in upper-segment vehicles, and makes them attainable to customers in the growing small SUV segment – including award-winning Uconnect Access (late availability), Uconnect touchscreens and the segment’s largest full-color instrument cluster. Safety and security were at the forefront in the development of the all-new 2015 Jeep Renegade, setting the stage for up to 70 available safety and security features, including the segment’s first availability of Forward Collision Warning-Plus and LaneSense Departure Warning-Plus.